Mike Elliot has been the most booked and highest rated Elvis Tribute Artist (ETA) in Central Texas for 6 straight years (2011-2016). 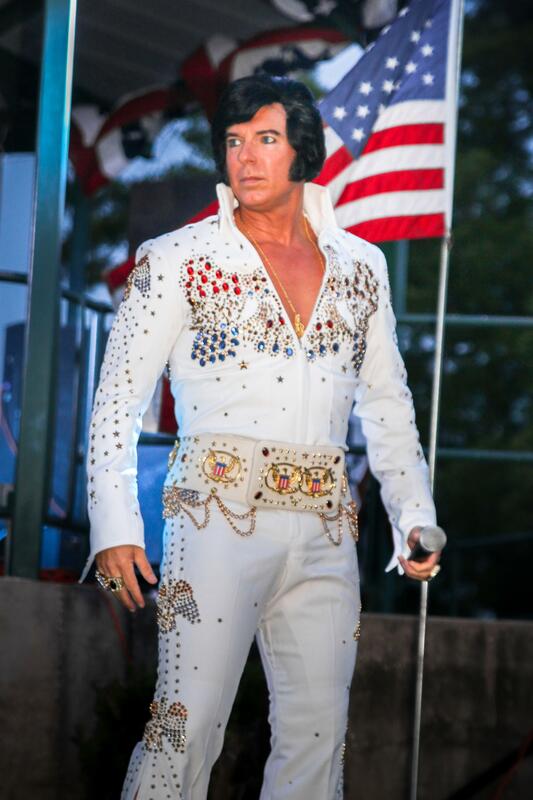 His passion, stage persona and commitment to authenticity have made him one of the top ETA’s in the Southern U.S.
Mike is the only ETA in Central Texas offering 2 Elvis era shows: Classic 60’s Movie Era & 70’s Vegas and Concert Era. Mike never does a “canned” show but caters specifically to the wants and desires of his clients. U.S. Army, Austin Music Hall, Austin Police Department, Sun City Texas, Dell Children’s Hospital, Fort Hood, Chuy’s & Fox’s Good Day Austin, to name a few. Mike’s show is all inclusive and always includes 8.5” x 11” photocards for all guests and silk scarves passed out during Elvis love songs. Mike can also include an 8’ x 10’ fabric Vegas themed backdrop and props for great photo opportunities with Elvis.